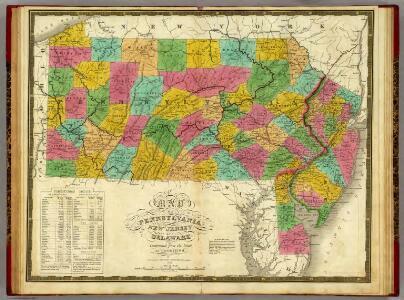 A map of the canals & rail roads of Pennsylvania and New Jersey, and the adjoining states / by H.S. Tanner; engraved by H.S. Tanner & assistants. A map of the canals & rail roads of Pennsylvania and New Jersey and the adjoining states / by H. S. Tanner; engraved by H.S. Tanner & assistants.